Do you lose allot of people and you are not sure why they are leaving? Do you trust what your exit interviews are telling you? 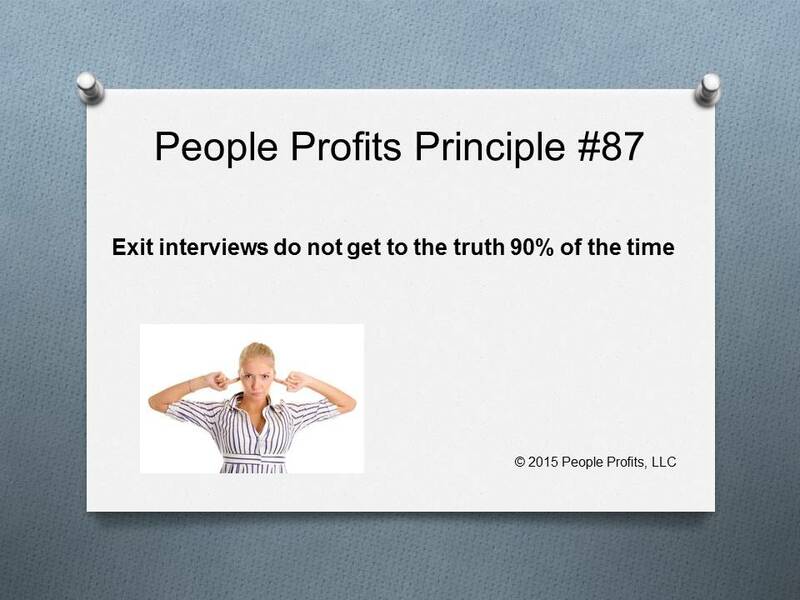 Do you have other ways to determine if the exit interviews are giving you the truth? Are your retention strategies not working and you don't know why? Would you like to know the strategy and system that will get to the truth? Numerous studies have shown that employees tell the company what the employees think the company wants to hear on exit interviews. When researchers go to the employees months later there is little to no correlation between why they really left and what they said in the exit interview. There are strategies and systems that can be developed and implemented that will get closer to the truth.